at raising a deeper awareness of the transformations and changes science brings about and on how deeply it influences our daily lives. A long-term purpose of the Association is the creation of an International Centre for Science in Sardinia. She graduated in Mathematics and became a certified teacher of Maths and Physics; she got a Ph.D. in Maths with a dissertation on: Science spreading and dissemination. The case of Mathematics. She worked as teacher and researcher in the teaching of Maths – Research Project by the Ministry of Education – Department of Maths. She took part and led several seminars at international and national meetings on the teaching of Maths and Sciences. 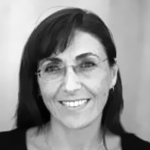 She taught Maths and Physics at secondary schools as well as Maths teaching strategies at SSIS – Post-graduate School for Teacher Training at the University of Cagliari – and in specializing teacher courses. She collaborated in the setting up of scientific exhibitions: she coordinated the project “La scienza in festa”, at Oliena and the exhibition “Oltre il compasso”, in Cagliari. She had the role of tutor in various science labs in Castel San Pietro Terme, Cagliari, and Oliena. She wrote articles on the teaching of Maths and on the interdisciplinary problems related to the passage from middle to secondary school. She is currently studying for a Ph.D. in Science Communication at the University of Cagliari. 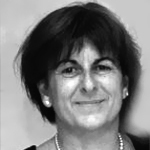 She is member of the Management Committee of CRSEM and of the Committee ScienzasocietàScienza. 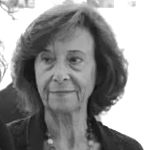 For several years she carried out research activities as a Ph.D. in General and Clinical Microbiology received at the Università Cattolica del Sacro Cuore, Institute of Microbiology in Rome, and as a Ph.D. in Bioscience and Technology received at the Institute of Bioscience and Technology (IBST), Faculty of Medicine and Biosciences, at the Cranfield University, UK. She teaches Science and Microbiology at secondary schools and is a tutor in teacher training courses held by the University of Cagliari. She worked as a teacher and tutor in Biology and Microbiology at the University of Cagliari and for the National Project IIS – Teaching Experimental Sciences – organized by the Ministry of Education, University and Research. She has realized or participated to numerous projects for high school students such as the IBEL (Inquiry-Based- E-Learning) Project, in collaboration with the European Molecular Biology Laboratory in Monterotondo, or the Valeria Plus Project – European Programme Leonardo Da Vinci. She is the author of various scientific articles and lecturer in scientific meetings. As a member of the Committee ScienzasocietàScienza, she planned and realized various activities to popularize science especially for the Cagliari FestivalScienza. She graduated and received a PhD in Physics, with a specialisation on Medical Physics. She is currently a researcher in the Department of Physics at the University of Cagliari as well as at the INFN – Italian National Institute of Nuclear Physics; she is also associated with the CERN of Geneva. She carries out research activities in Physics applied to Medicine in collaboration with INFN. Since 2012, she has been a member of the National Scientific Commission 5 (interdisciplinary and technological researches) and of the Evaluating Commission at INFN. She is a lecturer in various degree courses, at the Postgraduate School of Medical Physics, and in the Master Course “Technologies to control environment and working places”. She is a member of the coordinating group of the Sardinian section of the Italian Association of Medical Physics; she is the referee of several research projects of the INFN and of numerous international journals. In 2011 she was the scientific testimonial at the exhibition “Women operating the biggest ever built machine” at EXMA’ in Cagliari. In 2013 she designed the INFN stand for the inauguration day of the Sardinia Radio Telescope. In 2014 she organized the “Researchers’ Night” at the Department of Physics in Cagliari in collaboration with the INFN and the Association Frascati Scienza and on that occasion she led the seminar “Particle accelerators and antimatter production…at hospitals”. On the occasion of the International Day of Physics 2014, she organized the event “Science helps us… to stay healthy” presented at the FestivalScienza in Cagliari. Since 2015 she has been the contact person for the Physics Laboratory in the National Project for Scientific Degree Courses, funded by the Ministry of Education, University and Research at the University of Cagliari. He graduated in Physics at the University of Cagliari and became a certified teacher in Maths and Physics; he taught for many years at the Liceo Pacinotti in Cagliari where, in the ’70s, he set up one of the best labs of physics in any Italian secondary school. In 1983, he became the headmaster of the Liceo Scientifico Alberti in Cagliari and promoted its structural as well as its organizational improvement by encouraging innovative activities to enhance students’ development and performances. 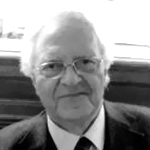 Since 1969, he has been a member of AIF – Association for the Teaching of Physics; in 1973, he co-founded the Cagliari section of AIF and was its secretary from 1980 to 2008. He had a very active role in the association by organizing intense training programmes for teachers together with other institutions such as Provveditorato di Cagliari, Amministrazione Provinciale di Cagliari, I.R.R.S.A.E., etc. He is the editor of “Asterischi di Fisica”, the periodical of the AIF – Cagliari section. In 1998 he retired but he has always remained deeply involved in activities related to the teaching and dissemination of scientific subjects. As a member of the Committee ScienzasocietàScienza, he has collaborated in the organization of all the events realized since 2000 by supervising, in particular, the interactive labs of Physics on issues like: Physics and Sounds, Waves, Radar Microwaves, Floats, Waves and Sails, Flash and Lightning, Electromagnetism: what a discovery!, Light Paths, Volta’s Battery, The Discovery of Radioactivity and Radioactivity Around Us. She graduated in Chemistry and received a Master in “Leadership and Management in Education”. For several years she taught Analytical Chemistry in secondary schools and Chemistry teaching strategies at SSIS – Post-graduate School for Teacher Training at the University of Cagliari. Since 2013 she has been the headmaster of the Comprehensive Middle School n.3 at Quartu Sant’Elena. She is a member of the Teaching Division of the Italian Chemistry Society (DD-SCI) and deals with Chemistry research and dissemination. She was member of the National Committee Science on Stage she has designed and realized innovative interactive exhibits together with science-based performances. She has participated to numerous local and international events. She was selected as Expert in Science for the Information and Training Plan for OCSE-PISA surveys as well as other international and national researches. She is member of the Sardinian Regional Group (GPR) of the Piano ISS – Teaching Experimental Sciences – set up by the Ministry of Education, University and Research. She has published numerous teaching materials for the Scientific Education Project devised by INDIRE. She has attended several meetings as lecturer on science dissemination and teaching. She has been a member of the Comitato ScienzasocietàScienza since 2004 and is a co-founder of the new Association ScienzaSocietàScienza. She graduated in Mathematics at the University of Cagliari in 1976 and became a certified teacher in Mathematics and Physics in 1983. She taught Maths and Physics at the Liceo Scientifico Pacinotti in Cagliari until 2014 and there she was the director of the lab of physics for 8 years. In the same school, she realized the project Maths and Physics Olympics and the Science Week in collaboration with the Committee ScienzasocietàScienza. She collaborated to realize the exhibition “Oltre il compasso” at the Cittadella dei Musei in Cagliari, in 1996. From 1993 to 2015 she took part in the meetings “Maths Races” at Cesenatico and, from 1998 to 2010, in the National Convention of Physics. Since 2005, she has been the instructor of the guides to the lab of physics at Cagliari FestivalScienza. 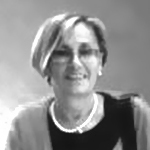 Since 1995 she has been the Provincial Supervisor of the Maths Olympics promoted by the Italian Maths Union and by the Scuola Normale of Pisa and she is also instructor of the regional participants. From 2005 up to now she has supervised the Regional Olympics of Physics, promoted by the AIF (Italian Association of Physics) and has been the instructor of the regional participants. 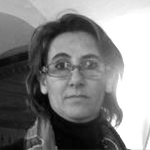 She is in charge for the organization of the Team Races of Maths and Physics in Sardinia. She is a member of the Commission for the National Competition Italian Olympics of Physics; she is vice-secretary of the AIF section of Cagliari. She has taken part in various scientific activities such as training courses for teachers of Physics. He graduated in Physical Chemistry in 2003 and received a Ph.D. in Physical Chemistry in 2007. He is currently working as a researcher at the Institute of Structure of Matter at the National Research Council and as a Senior Scientist at the Vinca Institute in Belgrade. His research activities focus mainly on the physical chemistry of materials and on the physics of condensed matter and, in particular, he studies the relation between the physical properties and the structure of magnetic nanomaterials. His research production is represented by over 50 publications on international and national periodicals and by over 150 communications at international congresses. 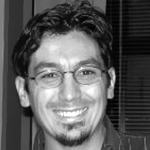 He has carried out an intense teaching activity in Master and PhD courses in Italy (University of Cagliari, University of Genoa and University of Marche) and abroad (visiting professor at the University of Le Mans and the University of Uppsala). Since 2002, as a promoter or lecturer, he has taken part to several scientific events to disseminate science knowledge. He is member of the Teaching Division of the Italian Chemistry Society (DD-SCI) and editor of the web site www.chimicare.org. In collaboration with the Liceo Giuseppe Peano in Monterotondo (RM), he is responsible of the project of scientific dissemination “Nanoscience and magnetic Nanomaterials”. She graduated in Natural Sciences at the University of Cagliari and became a certified teacher of Natural Sciences and General and Economic Geography. She taught Natural Sciences at ITS G. Marconi in Cagliari from 1973 up to her retirement. She coordinated numerous training projects for students about environmental education. She taught at SSIS, Post-graduate School for Teacher Training at the University of Cagliari. 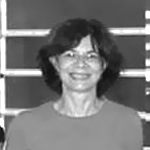 She collaborated with IRRSAE Sardegna (now IRRE), as director of a five-year project (1988-1993) on “Refreshing and experimenting strategies in teaching Natural Sciences” and as editor of the related documents. 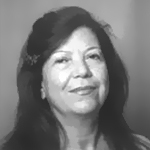 She is currently President of the Sardinian section of ANISN – National Association of Teachers of Natural Sciences and promotes Refresher Courses and Seminars for teachers of any school type. 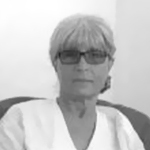 She is member of the Sardinian Regional Group of the Piano ISS – Teaching Experimental Sciences – set up by the Ministry of Education, University and Research – with the role of evaluator of activities of the ISS Sardegna and of teacher trainer for the online tutors. In July 2015 she directed the National Summer School of Natural Sciences in collaboration with the Department of Chemistry and Geology. She graduated in Foreign Languages and Literatures, specializing in English language, at the University of Cagliari and became a certified teacher of English in middle and secondary schools. She taught in various secondary schools in the Provinces of Cagliari and Nuoro. In 2001 and 2011, she passed the National test on English language Competence required to teach Italian in English-speaking countries under the sponsorship of the Italian Ministry of Foreign Affairs. She worked as lecturer of Italian at the University of Chicago from 2005 to 2010 and, in that period, collaborated with the Education Office at the Italian Consulate and with the Italian Cultural Institute in Chicago. Since 2010, she has been teaching at the Institute DeSanctis-Deledda in Cagliari and is involved in work-related activities for students. She has collaborated to numerous projects for students and European projects for teachers such as the Project ValeRIA PLUS – Evaluating teaching and learning processes. Presently a member of the Ministerial Committee for the dissemination of scientific and technological culture set up by the current Ministry of Education, University and Research, since 2006 she had been part of a similar group presided by Prof. Luigi Berlinguer. She was President of the National Steering Committee for the events of Science on Stage, organized by EIROforum – an institution that includes the main European research centres like CERN, ESO, ESA, etc.- that this year celebrates its 5th Edition; from 1999 to 2009 she coordinated the national group of History of Physics of AIF (Association for the Teaching of Physics), since 2001 she has been the director of the national training school for teachers of physics history; in 1999, she was awarded the Volta Medal by the Advisory Committee of the Interdivisional History of Physics Group of the European Physical Society for her activities in promoting the history of physics; she received the 1999 Prize for the Teaching of Physics from the Italian Society of Physics. From 1993 to 1999, when president of AIF, she organized several national and international events, such as the International Olympics of Physics in 1999; she was member of numerous Ministerial Commissions for schools reforms; certified teacher of Maths and Physics, she taught at the Liceo Pacinotti in Cagliari from 1976 to 1999 where she also directed the Physics lab for thirteen years; she has published numerous articles of the history and teaching of physics and on the dissemination of scientific culture; she has held courses on the teaching of physics at the Post-graduate School for Teacher Training at the University of Cagliari. Since 2000 she has been president of the Committee ScienzasocietàScienza and when, in 2016, it has become the Association ScienzaSocietàScienza she has been appointed its President.